Administer and Monitor Precise Oxygen Delivery with this All-In-One System to Avoid Life-Threatening Complications - MED Alliance Group, Inc. Since the late 1800s, oxygen therapy has been used as an effective tool in medicine,1 however, when administered incorrectly, oxygen can have detrimental, even life-threatening effects. Precise oxygen delivery is important to help avoid life-threatening complications such as these. There are devices on the market today that make it easier for clinicians to administer correct dosage simply and efficiently. The LYNX Venturi Oxygen Delivery System from Aeon Research & Technology is an all-in-one oxygen delivery system designed to consolidate multiple devices into one, while still meeting a patient’s oxygen needs every step of the way. The LYNX is equipped to deliver precise 24% – 100% oxygen, with 2% – 5% FiO2 variance from the desired setting. Featuring an innovative venturi adapter body, complete with an air entrainment window and standard oxygen ports, healthcare providers can simply, quickly and efficiently configure the mask settings to the required oxygen level. 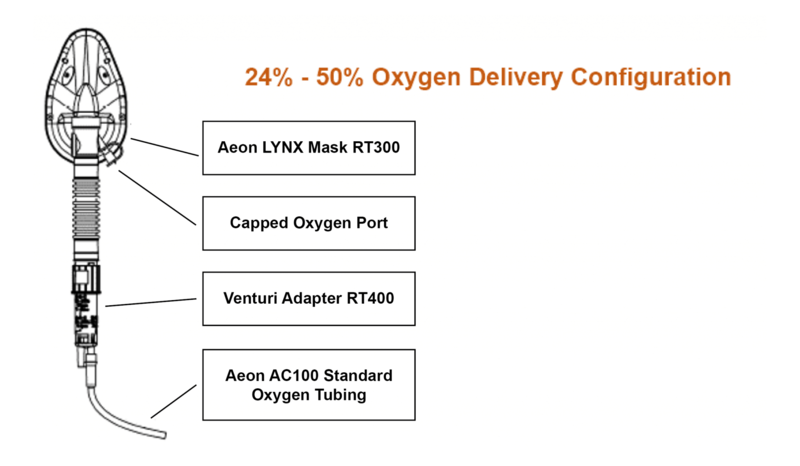 The LYNX venturi adapter features a chart, printed right on the adapter, to guide the healthcare provider on how to configure the system based on the desired oxygen percentage level. 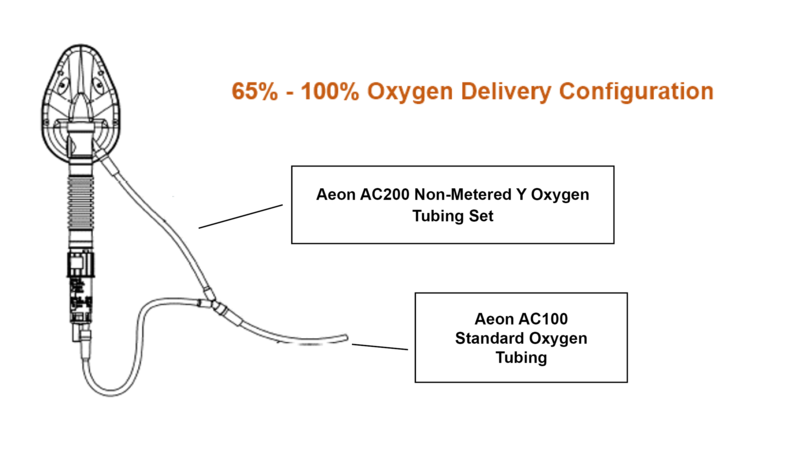 Once the Aeon standard oxygen tubing is connected to an oxygen source, the healthcare provider can reference the guide to determine whether Y tubing is required and the liters per minute (lpm) rate needed, which port(s) to connect the tubing to, and whether the entrainment window needs to be opened or closed. The healthcare provider can configure the mask system as many times as needed to meet all patient oxygen needs, from pre-hospital to the recovery floor. The LYNX Venturi Oxygen Delivery System is a clinician’s and EMS personnel’s solution to a full range of precise oxygen delivery. To learn more about it, please email us or call 888-891-1200.